Instagram is reportedly planning to allow video uploads of up to an hour and is looking to roll out a professional video hub as part of its service. The Facebook-owned photo sharing site has had conversations in recent weeks with content makers and publishers about producing long-form video for the platform, according to a Wall Street Journal report, which broke the news of Instagram’s video plans. A separate TechCrunch report said that Instagram is due to launch a “professionally produced video entertainment hub,” which could either be part of Instagram’s Explore tab, exist in a new tab on the app, or be launched as a separate app. 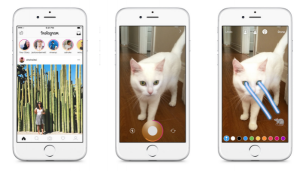 According to TechCrunch, Instagram’s dedicated long-form video home will feature content including scripted shows and music videos in vertically oriented, full-screen format in up to 4K resolution. The WSJ also reported that Instagram will focus on vertical video. The move will see Instagram take on rivals like YouTube and Snapchat, which teamed up with a host of major TV broadcasters and publishers like National Geographic, Vice, Comedy Central, CNN and ESPN for the launch of its Snapchat Discover platform in 2015. It will also mark Facebook’s second major push into video content, following the launch of its Facebook Watch platform last year – a home for episodic content that Facebook said is designed for creators and publishers to “find an audience, build a community of passionate fans, and earn money for their work”. Instagram plans to let creators and publishers earn money through their long videos, though it hasn’t finalised details of ad formats or revenue splits, according to TechCrunch. The tech news site also reported that Facebook won’t pay Instagram creators upfront for the long videos like it does for Facebook Watch content. “Instagram toying with the idea of introducing one-hour long video is a remarkable step for the platform which prided itself on short-form content – originally 15 seconds and then 60 seconds,” said Josh Krichefski, CEO of media agency MediaCom UK. 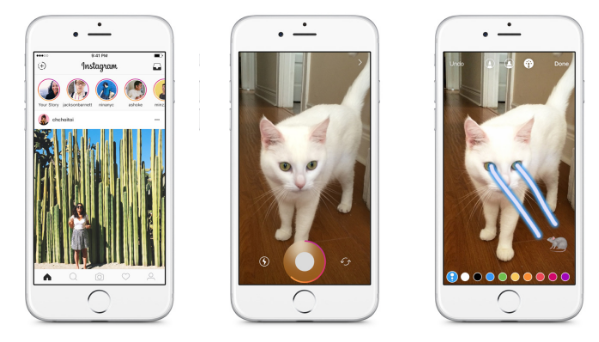 Instagram currently lets users upload video posts of up to 60 seconds, and video clips of 15 seconds within Instagram Stories. Users can also post live videos of up to an hour, but once a live video has ended it is no longer visible in the app unless a user shares a replay to their Instagram Story, which disappears after 24 hours.